Sister Margaret O’Brien, O.P., (Mary Agnese) was born on the family farm between Oregon, Wisconsin and Brooklyn, Wisconsin. Her father was a farmer. Her mother was a registered nurse before she married, but after that, became a stay at home mom. Sister Margaret attended public schools in Oregon and graduated from Oregon High School. She attended Edgewood College for two years, and then entered the Dominican Order. 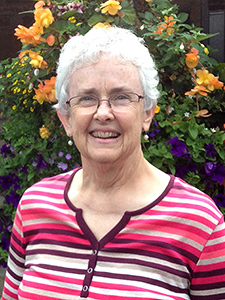 Sister Margaret's first teaching assignment was at Saint Sabina School in Chicago. By studying in the summers, she eventually finished her undergraduate degree at Edgewood College. She received her B.S. in Education at Edgewood College in 1970, received an M.A. as a Reading Resource Consultant from Cardinal Stritch College in 1977, an M.A. in Educational Technology from Edgewood College in 1994, a Certificate in Religious Studies from Mundelein College in 1988, and a Doctorate in Educational Leadership from the California Institute of Integral Studies in 1997. Sister Margaret taught and was a principal at parish schools in Janesville and Whitefish Bay, Wisconsin; Chicago and Peoria, Illinois and returned to be a member of the Edgewood College Department of Education. After retiring from Edgewood College, she was an Administrative Assistant for the Dominican Sisters of Sinsinawa until 2016.